Looking for TR6 parts? Performance related? Look no further than Good Parts. Great selection of OEM and peformance Triumph TR6 parts. Tim Lanocha is a great friend of The Wedge Shop and you really need to check out his Group 44 Replica. We sell his body kits on our website. His role in the rise of the fast TR8's is well known in the industry. The TSOA in South Australia was founded in 1965 as the official factory-sponsored club for Triumph TR (“Triumph Roadster”) owners. The factory backing ended in the 1970's and the club has since broadened its scope to cover all Triumph cars as well as the TR sports cars. The Cool Moose Cafe, Ludlow, VT's newest eating establishment, is located across the street from the entrance to the Okemo Ski Area. Locally owned and operated by Gary and Susan Barto of Reading, Vermont the menu offers Vermont fresh beef, chicken, dairy products and seasonal vegetables. The casual, family friendly atmosphere is open from Monday through Sunday. We invite you in to enjoy our happy hours from 3:00 to 6:00 every day with dinner served until 10:00 seven days per week. We are now open for lunch Friday through Sunday starting at 12:00pm. The Land Rover life incorporates the enduring ideas of the world. The insights that the humanities - literature, history, cultural studies, religion, philosophy, art - bring to us daily enrich our lives. 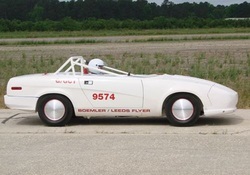 Cool site with a land speed TR7 and much more. Check it out!